Subarachnoid Hemorrhage - Sentinel Bleed. 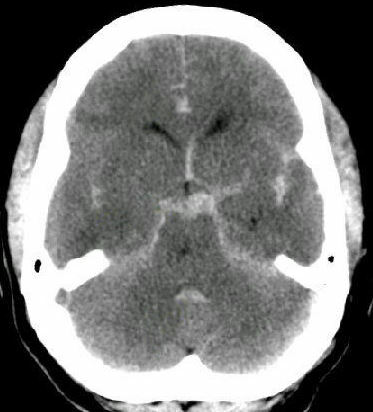 Axial Non contrast CT shows a focal hyper dense subarachnoid blood in left parietal cortical sulcus. 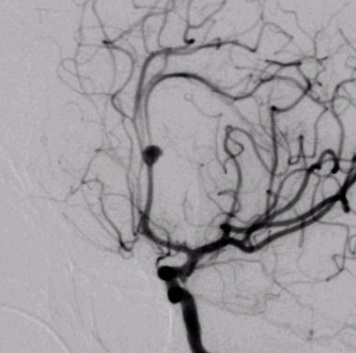 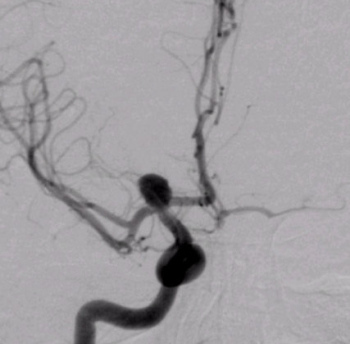 Sentinel bleed is a warning bleed due to minor blood leakage, precedes aneurysm rupture by a few hours to a few months, present with sudden focal or generalized headache, should not be overlooked must be screened on time to rule out underlying aneurysm with non invasive MR Angio or DSA. 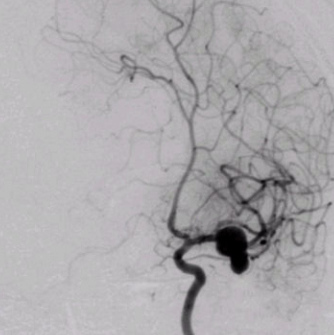 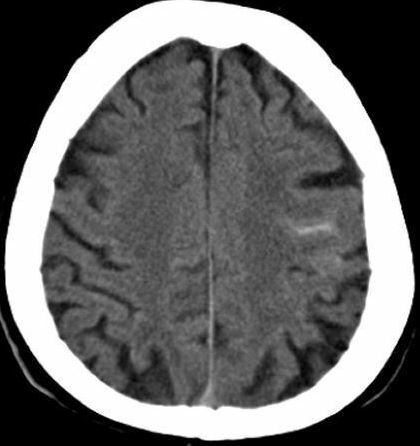 Subarachnoid Hemorrhage – Massive and diffuse. Axial Non contrast CT shows diffuse sub arachnoid bleed in basal cistern, interhemispheric fissure and sylvian fissure. 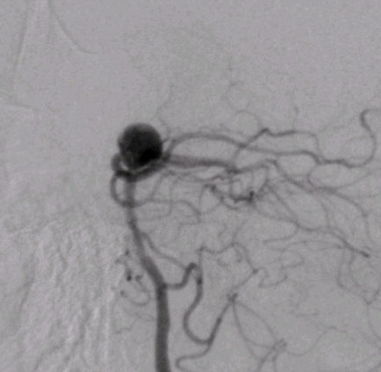 As per the Law of La Place, the tension on the wall is proportional to the diameter. 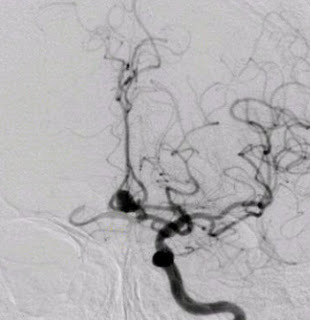 Thus, the rate of rupture is directly related to the size of the aneurysm. 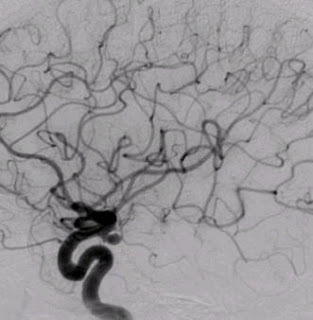 Aneurysms usually occur at arterial bifurcations and mostly arise from the anterior circulation of the Circle of Willis (85%).